After a visit today to Southsea (and from previous experience), I am feeling very happy to be crossing the Atlantic with a bespoke menu put together by Fuizion Freeze Dried Food. A very personal company with state of the art manufacturing processes and rated highest among almost all adventurers and outdoor magazines (as shown below). 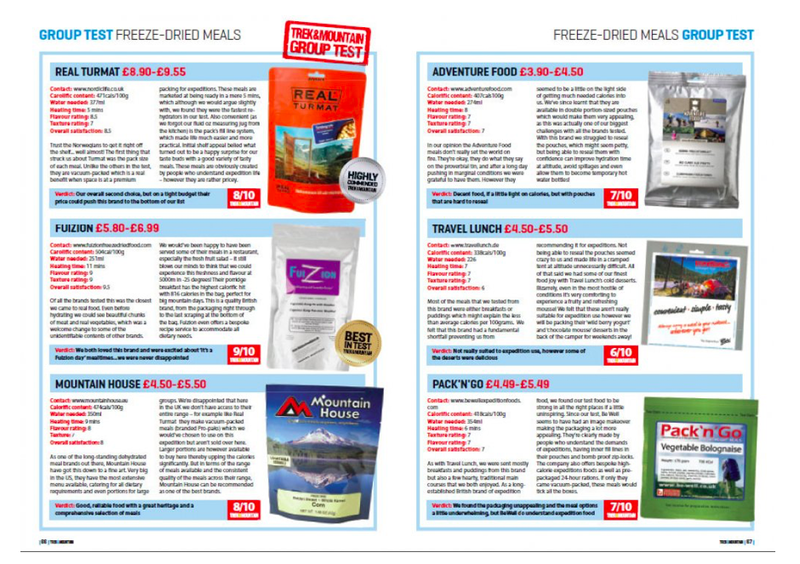 If you are heading off on expedition or completing a big challenge soon, check them out at fuizionfreezedriedfood.com!